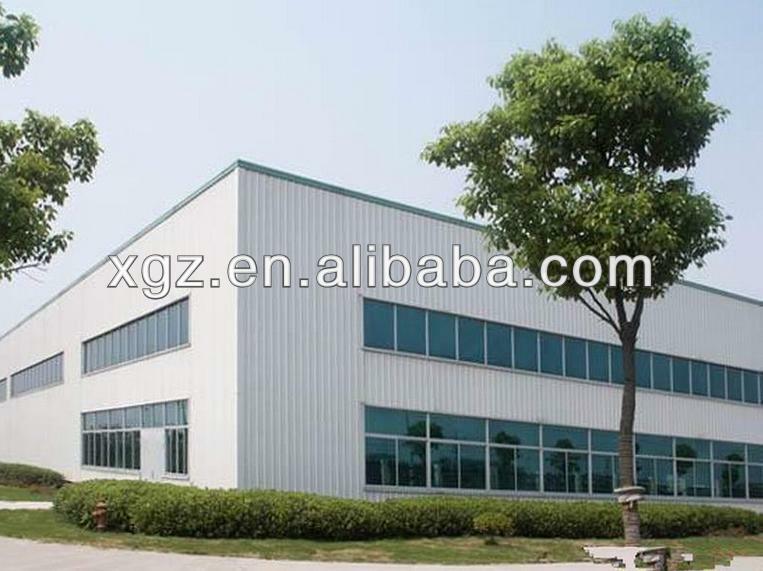 1) XGZ made series house is a kind of light steel structure modular house with the color steel sandwich panel. 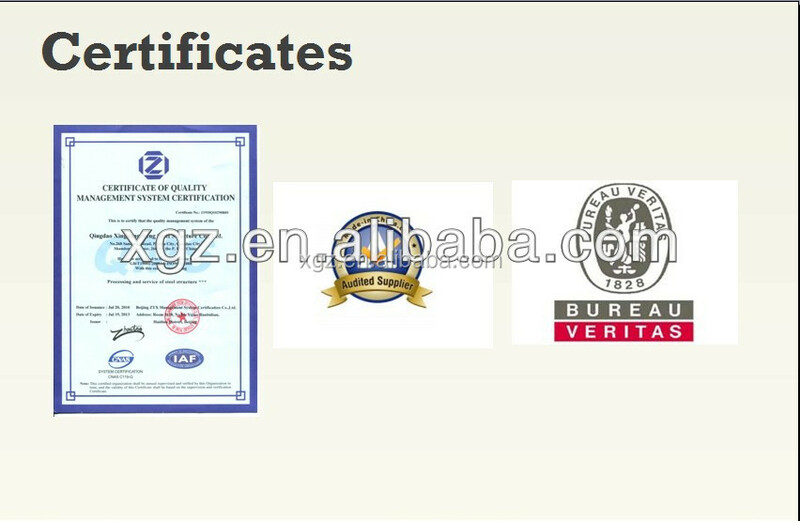 2) The steel structure makes the house resisting heavy wind of 100km/h and 7 grade earthquake. 3) Color steel sandwich panel has a good fire proof and heat insulation performance for the characteristic of the color steel sheet and polystyrene material. 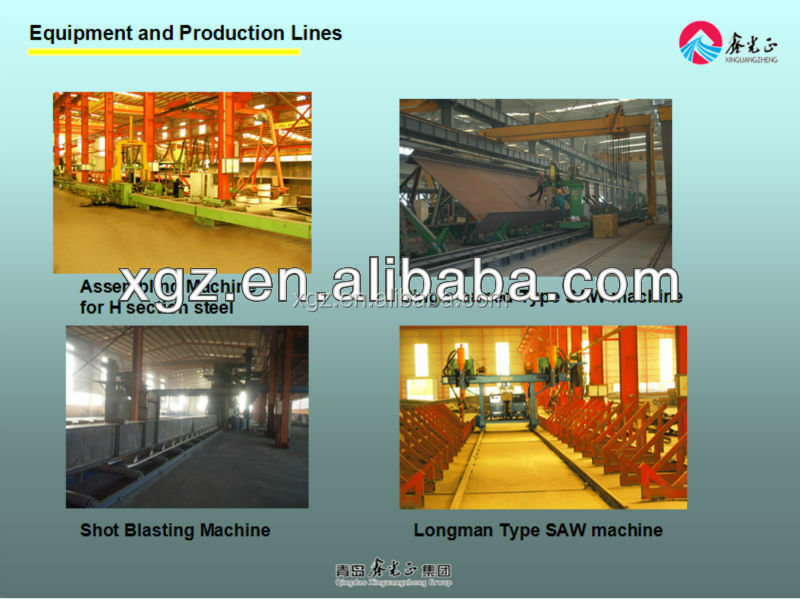 4) All the components of the house are prefabricated before leaving the factory, produced according to requirement of customer. 5) The completely knock-down of the house components can save more space of the container and make the cost of house lower. 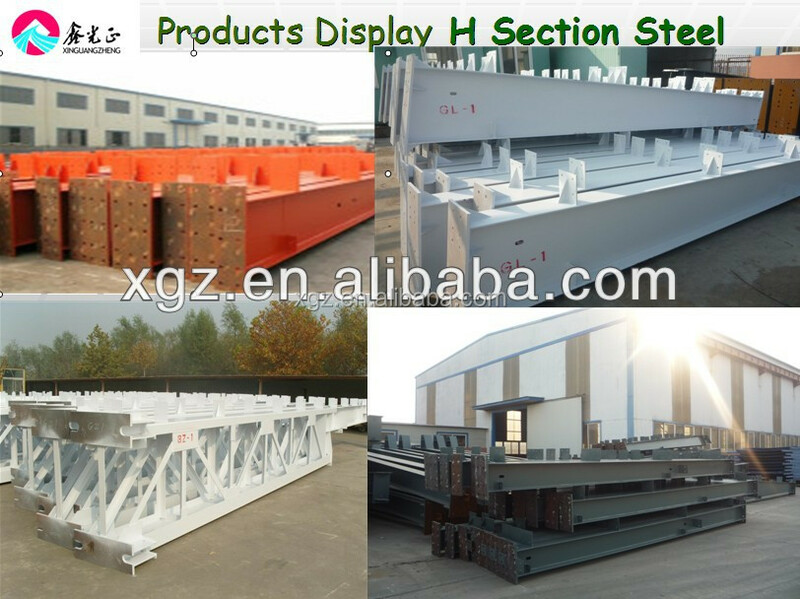 6) It is easy to assemble for the light steel structure. 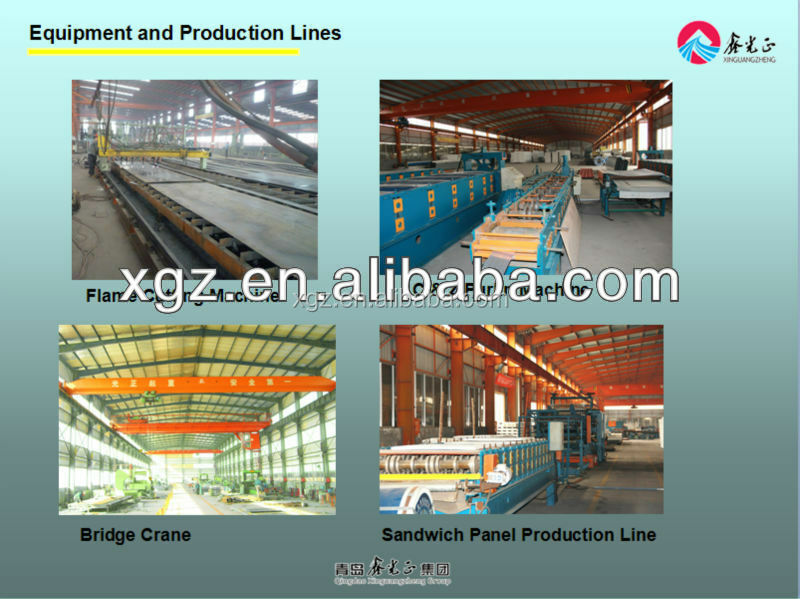 A. Prefabricated house is made of light steel as steel structure and sandwich panel for wall and roof. B. 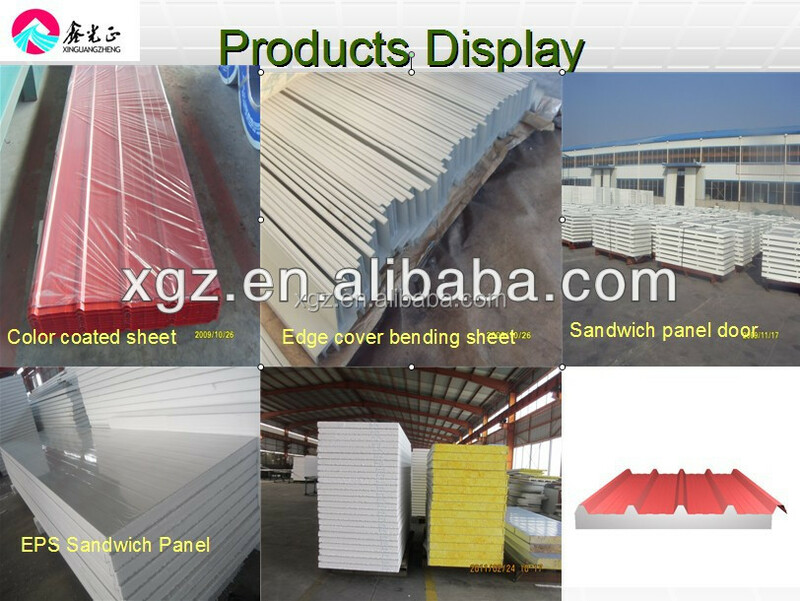 The sandwich panels can be polystyrene, rock wool or fiber glass wool for insulation. C. The standard prefab house is made by 1.8m as one modular, and components connected by bolts. 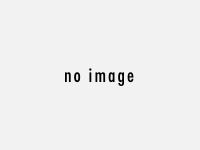 D. The house can be assembled and disassembled, and the service life is more than 15 yeas. E. Suit for Labors camp, Mineral workers' dormitory, Temporary office, Canteen, Recreation room, Earthquake house, Emergency house, etc. C. Beautiful appearance, different colors for the wall and roof. F. Safe and stable, can stand 8 grade earthquake.